"These are some of Tony's most beloved pieces—songs that reflect most deeply his spirituality and his voice as a songwriter." Tony Alonso has been a part of the GIA family of sacred music for nearly 15 years. In this time he has compiled an impressive array of titles for liturgy, prayer, and contemplation, many of which have become staples of contemporary worship. 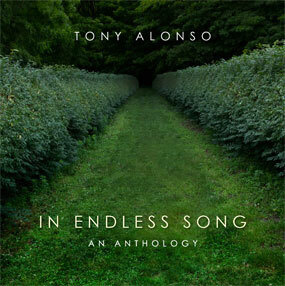 In Endless Song is a compilation of some of Tony's finest works gathered into one collection for the express purpose of facilitating personal prayer and reflection. These are some of Tony's most beloved pieces—songs that reflect most deeply his spirituality and his voice as a songwriter. Songs like "What You Have Done for Me," "And Jesus Said," and "Here I Am" will inspire Christ-centered discipleship while "Fresh as the Morning," "I Will Lift My Eyes," and "In the Arms of God" will soothe and uplift your spirit. One of the many highlights of this recording is Tony's fresh and imaginative arrangement of "How Can I Keep from Singing." This tender song-prayer beautifully reflects the peace-filled confidence found in the knowledge that God is ever-present "through all the tumult and the strife..."
Hear song clips from Tony Alonso's Anthology.